The MILabs next generation U-SPECT4and VECTor4 technology improves over the already excellent performance of its predecessors. 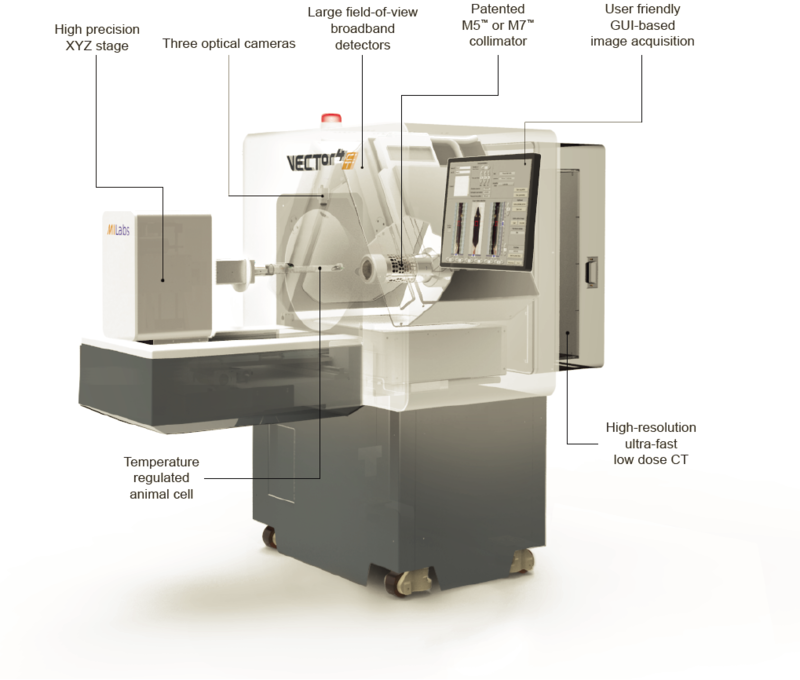 The more than 100 improvements include a more practical and compact design as well as a dramatically improved CT subsystem. 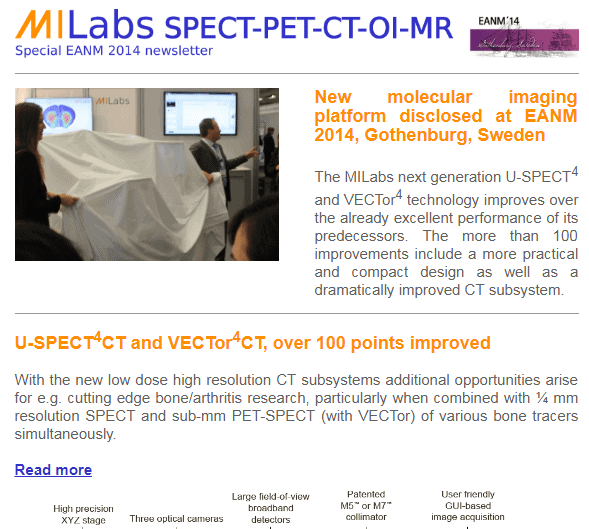 With the new low dose high resolution CT subsystems additional opportunities arise for e.g. cutting edge bone/arthritis research, particularly when combined with ¼ mm resolution SPECT and sub-mm PET-SPECT (with VECTor) of various bone tracers simultaneously. 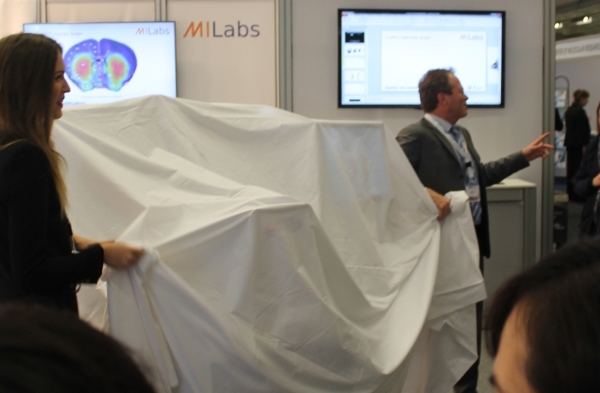 With the new low dose high resolution CT subsystems additional opportunities arise for e.g. cutting edge bone/arthritis research, particularly when combined with ¼ mm resolution U-SPECT and sub-mm PET-SPECT (with VECTor) of various bone tracers simultaneously. Copyright © 2014 MILabs, All rights reserved.